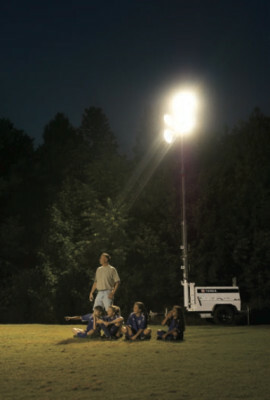 Light Fixtures: High-output fixtures feature a high-intensity parabolic reflector that increases illumination and creates a brighter, more uniform light pattern. The result is greater visibility and improved safety for workers. For fast job-site setup and less downtime, each light fixture can be aimed independently without the use of tools—and the fixtures stay in place once positioned. Tower: The telescoping tower is compact when stored, yet extends to 30 feet when deployed. Two winches raise and extend the mast easily. Power- and hand-operated winches are available. 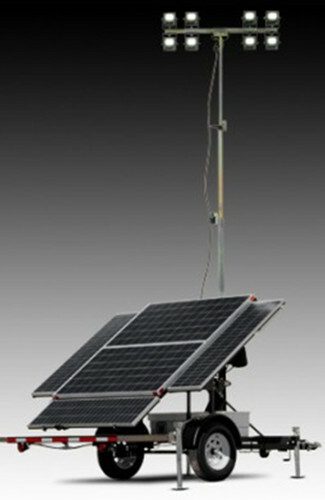 In the upright position, the light tower mast rotates 360 degrees and the lights operate at any height, preventing the trailer from having to be moved frequently. Power System: Trouble-free performance and greater longevity are achieved with a choice of rugged, low-RPM, Tier 4 Final diesel engines and high-quality four-pole generators. A 30-gallon fuel tank provides extended run times of 60 to 70 hours between refueling. The rugged, translucent polyethylene fuel tank is rupture resistant and offers an instant view of fuel level, eliminating the need for a fuel gauge. Serviceability: Wanco has created a unique innovation that greatly improves serviceability. For complete access to the engine, generator and electrical components, Wanco Diesel Light Towers feature a hinged top panel that rises with the mast when maintenance is required. 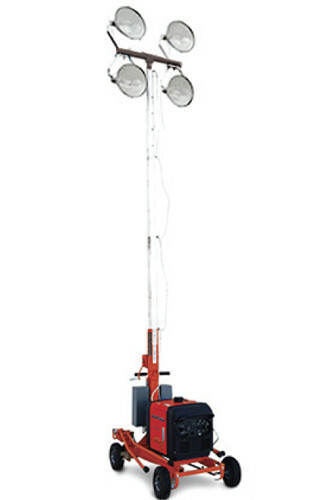 No other light tower makes engine access this easy. The gull-wing side doors may be opened while the maintenance panel is raised, further enhancing access. Value: Whether you need to dig a hole, process and haul material, work at height, or lift something high into the air – we’ve got the right machine to do the work for you. We offer a wide range of tough, quality equipment for use in the construction, infrastructure, quarrying, mining, shipping, transportation, energy, refining, and utility industries. We make safe, reliable, cost-effective products that aim to improve our customers’ return on investment. From building and highway construction uses to remote oil field applications and sporting events, Terex® Light Towers have a reputation for being a reliable, cost-effective performer in the field. Features: UHMW side pads are incorporated throughout all Terex light tower mast systems to help provide longer mast life, less friction and a higher level of corrosion resistance by eliminating metal-to-metal mast wear. 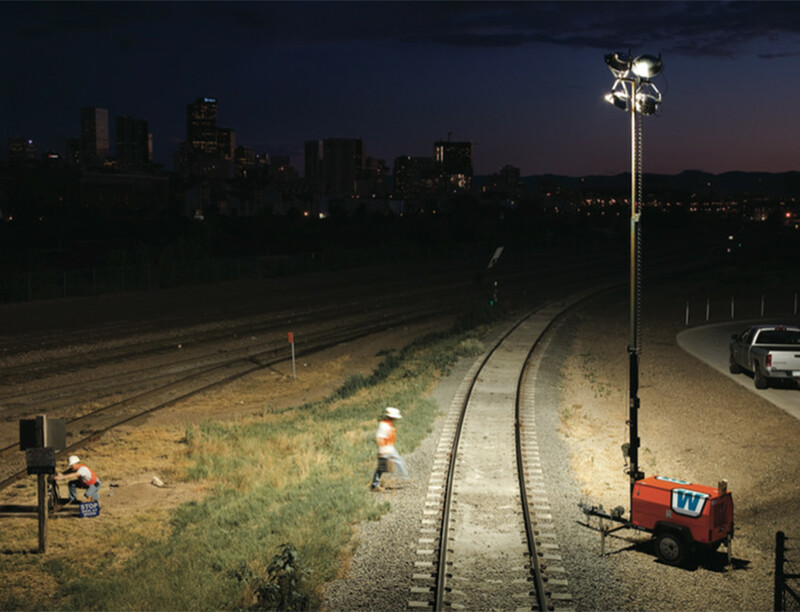 Worksite Lighting: Terex® offers a heavy-duty light tower to fit virtually any lighting need — from construction sites and sporting events to mining and oil field applications. Terex® light towers include a variety of features and options to help improve the productivity of each unit for your specific jobsite needs. 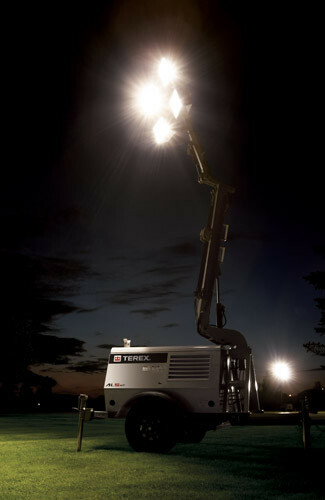 Quality engineering and durable components make Terex® light towers the perfect choice to illuminate your worksite.